It is unfortunate that so much of our heritage is lost to future generations because those who participated in the making of it do not have the time to record it for us, or else do not see the need for recording it for posterity. 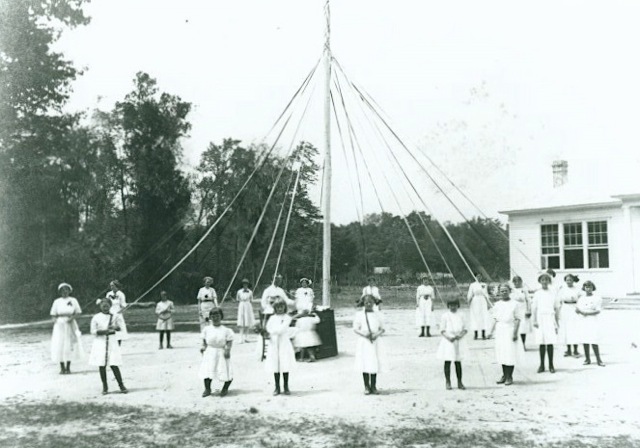 For the benefit of my children, and for others who may be interested, I am recording at this late date my memories of the Unitarian School in the community of Shelter Neck, Pender County, North Carolina. There is no known person living today who knows why the Unitarians from Boston, Mass., chose this isolated community, enclosed partially between the waters of Shelter Creek and the Northeast River, to establish a school. Mr. Wayne Arnold has been able to trace some of the history of the purchase of the property by searching through old deed records. This reveals that a deed was drawn on August 4, 1900, to Mrs. Abbey Peterson and Mrs. Edith Dukes of Pender County for the purchase of the tract of land from Mrs. Frances G. Newton and Charles Sears, and wives, respectively, “for the love of God and humanity and the sum of $1.00. 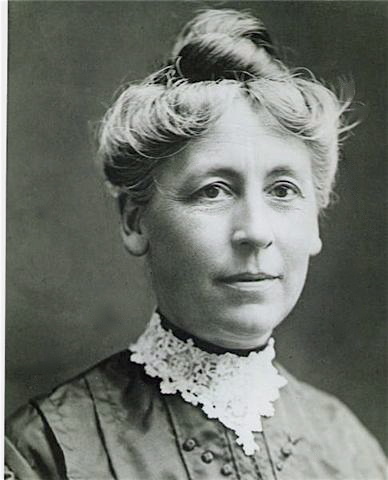 Mrs. Peterson represented the National Alliance of Unitarian Women of Boston. I remember my mother stating that Mr. Dukes was the first Unitarian minister to preach in the chapel, which was built about 1900. Three-fourths of an acre adjoining the chapel was purchased July 25, 1907, from M. B. and Charlotte Hanchey “to be used for advancement of the gospel of God as taught by Jesus of Nazareth and for the good of humanity.” There may be other information regarding transfer of property after that date which could not be located. 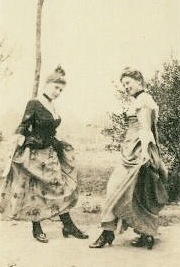 During 1905, Mrs. Peterson was joined by Mr. Key, a minister from Boston. In the fall of 1913 I enrolled in the school, and was there until the spring of my 16th birthday in 1923. It was three miles from my home to the school, and various modes of transportation were used to travel it. My brother, who also attended the school as a boy, used his goat and cart. Sometimes, along with other neighborhood children, we drove the mule hitched to a cart or buggy. As we grew older, we started riding our bicycles, and when the weather was nice, we walked. Traveling in the early morning and late afternoon, as we had to do, gave us time to observe and appreciate the changing seasons and natural phenomena of the area. When I was 10 years old a Mrs. Von Lavner arrived to teach piano and French. She was living in exile from her native country, Austria, having escaped from there to Paris, France, during WWI. She was a member of nobility, and also had been a student at the leading music conservatories in Europe. From Paris she migrated to Boston, and then to Shelter Neck. There she taught 9th grade French, and music to those who would work hard. Being a perfectionist, she demanded the best of all her students. When the school was discontinued she went to Alabama to teach music in a university. Our history teacher was Mrs. Pratt. She was a handsome aristocrat, and was related to the Calvin Coolidge family. I particularly enjoyed having her teach English History and literature. The library housed many outstanding books, which were sent to the school from Boston. They enabled me to read extensively from Shakespeare, Thoreau, Longfellow, Keats, Browning, Shelly, and many more. It was not unusual for us to put on Shakespearean plays, with the moss-covered trees serving as the backdrop setting. When we were in our teens my parents decided that my sister, Gladys, and I should board at the school. The girls’ dormitory housed 12 girls and three teachers. The boys roomed on the second and third floors of Dix House. It also housed the housekeeper, minister, and other teachers. A school day began with singing and devotionals in the auditorium. The boarding students went to Dix House at noontime for a hot meal. The day students ate their lunches under the trees, and also fed their teams, and played. After school, the boarding students went to their rooms to rest. Those who studied piano practiced an hour each day, and had a lesson twice a week. Study time was from 7:00-9:00 pm, and was rigidly enforced, and teachers were available to help us with our studies. At 9:00 p.m. we went to the living room where we were joined by the teachers in a discussion of things of interest, which had occurred that day. Also we had read to us some of the great poems or an inspiring bit of philosophy. The highlight of a week was the Saturday night party, where we were taught folk dances. They always concluded with the Virginia Reel. Young folk from nearby communities joined with us in our parties. On Sunday mornings we had church services. Frequently, these were followed by discussions of our religious views. Sunday school was held in the afternoon. When the weather permitted, we would follow this with a leisurely stroll to the river. On Sunday nights we gathered in the school auditorium for an hour to sing. Mrs. Peterson had to be taken to the hospital in Wilmington early in April 1918. The trip was made in a surrey over roads which, for the most part, were unpaved. This was a sad day for all of us, as she did not return. She died on April 20. Not very long after the death of Mrs. Peterson, Mr. Key returned to Boston. 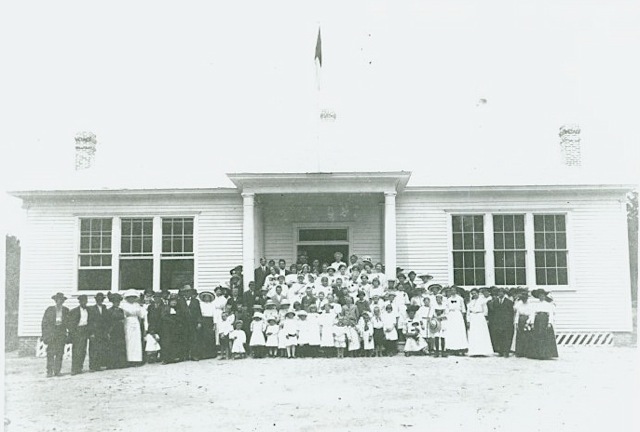 Others came from Boston to take over the school, among which were Mrs. Norton and Mrs. Damon. 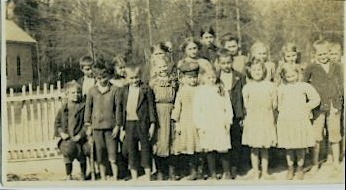 When transportation of high school students was provided by the public school systems, there no longer was a need for the Shelter Neck school. Consequently, it went out of existence. However, its influence in the community it served continues to be felt today. I deem it a great privilege--and blessing--to have served as a teacher in the primary grades there during 1924-25. Norma Rowe Sawyer, former student, became a well-known and respected teacher in the public schools. Mrs. Sawyer’s brother, Roy Rowe, also a student at Shelter Neck, became the director of the Unitarian's Emmerton School in Swansboro and later became a prominent businessman, one of the first to build movie theaters in several towns in NC. He served as President of the Theatre owners of North and South Carolina for two terms, Board member of the Theatre Owners of America, and also as Chairman of the NC March of Dimes, President of the Carolina Aero Club and Chairman of the Burgaw School Board. He served for forty years in the NC General Assembly, beginning in 1936 through six terms in the Senate, a term in the House, and eight years as Principal Clerk of the NC Senate until his retirement in 1976. For 28 years, he was a Trustee of the Greater University of NC, including service on the Executive Committee. The Association of Governing Boards of American Universities and Colleges elected him president. As a Major in the Civil Air Patrol he helped organize their war efforts in NC and served as Vice-Commander of the NC CAP and as their Legislative liaison. He also was the first Chairman of the Governor’s Council for the Aging. An active member of the Unitarian Fellowship of Raleigh until his death, he is buried in the cemetery near the intersection of Highway 117 and US I-40. For her thesis for a Master of Arts Degree in Southern Studies at the University of Mississippi, Eunice Milton Benton, a graduate of UNC Chapel Hill NC, researched and wrote, Shelter Neck's Unitarian School. Copies are in various libraries, including the Pender County Library and several university libraries. Eunice retired in the summer of 2011 from her position as District Executive of the Mid-South UU District. She and her husband were former residents of Winston Salem where she was a member of the Winston Salem UU congregation. She resides in Mississippi and a coastal home near Wilmington NC. Other publications with information about Shelter Neck and the sister school in Swansboro are in the archives at the Andover Harvard Theological School Library near Boston and in other libraries.